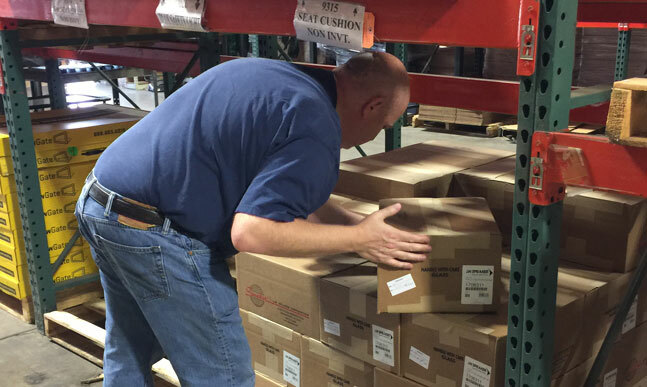 OSHA advises specifically against carton picking beneath rack beams. What can you do to reduce your risks? 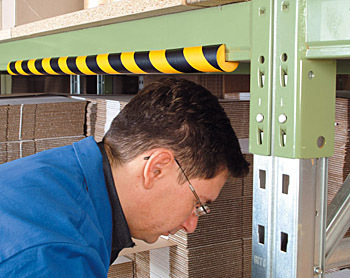 Workers encounter injury hazards working in the bottom bays of pallet racking. The most significant is back strains, as picking beneath these beams forces people to bend at unnatural angles, handle potentially heavy loads, and then pull them out, all in poses that any ergonomics expert would advise against. These issues are so prevalent that the agency has released specific guidelines on how to deal with them. The potential for injury or chronic issues is high for workers who do these jobs every day. Think about how people work: cartons are always picked from the front of the pallet first, leaving a gap of product deep in the bay, where people must bend or squat beneath the beam to reach it. That’s a breeding ground for shoulder and back injuries. It’s important to mitigate these safety hazards before injury occurs. What are some methods you can utilize? These pallets allow you to pull the entire pallet out from beneath a rack bay for fully ergonomic access to loaded goods. They come with handles so your order pickers will simply roll the pallet out into the aisle, take a carton from a much more comfortable and ergonomic stance, then roll it back once the order is picked. They can be specified as “straight line” or turning, in case you need to significantly move the pallet away from its assigned bay. Aside from carton picks beneath a beam, they can also help with bulk picking. We have seen many warehouses with wire bins, filled with bulk components, sitting beneath the lowest rack beam level (either on the floor or a zero level beam). Workers bend over to retrieve a single part from the bin, and are at the typical risks associated with that posture. To deal with the issue, you simply place the bin on a rolling pallet and then pull it into the aisle for parts picking. The worker can access it without bending under that beam. Remember that cartons picked from the floor are always more difficult than those picked from the ergonomic golden zone. The types of picks that tend to happen at floor levels are slow movers with lower demand. Cartons that are picked frequently should not be stored on the floor pallet. They should be either placed in carton flow storage, or on an intermediate beam that doesn’t force people to bend beneath a beam that is 4′ off the ground. While that method can result in less optimized vertical space, it will help protect workers from some of the stresses of picking beneath a beam. Ideally, fast movers are in dynamic storage, and slow movers are stored so that it’s ergonomic to reach them. Why not use a pallet jack? 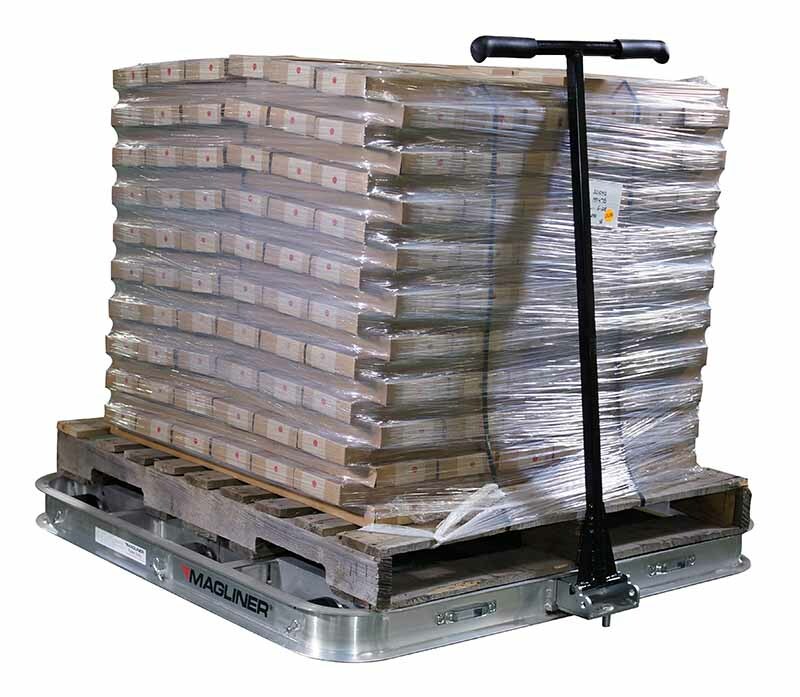 Using a pallet jack would work similarly to a dedicated pallet, and is an option. Typically, this means workers must pull that pallet jack around the facility, even to pick one or two cartons in a long row. It’s a good way to address the problems on a small scale, but impractical for large facilities with many picking positions. What about workers who just ignore the pallet and bend anyway? This is a definite issue. Studies show that people resist safer lifting methods, in particular when they are young. If you undertake a program to reduce the ergonomic issues and injury potential of this issue, training and reinforcement must be part of the process. Aside from the musculoskeletal concerns, there are frequent issues with head bumps on the bottom of steel beams. Most everyone who’s worked in a warehouse has likely hit their head on a low beam from time to time. While we tend to want to reduce or eliminate the motion that causes head bumps, sometimes it is unavoidable. To reduce the issues with it, cushion the front and bottom of the beam overhead to soften impact to the head if it hits the beam. It’s an inexpensive method that also makes the beam more visible, since the guards can be bright safety yellow, or even photoluminescent. From time to time walk through your facility and watch how workers tackle their assigned tasks. If you have a safety manager, take them with you and discuss ways to correct the ergonomic and safety problems you see. Take notes, determine solutions, set an agenda for completion, do training. In the end, money spent on the front end will save dollars exponentially.